Roll-in freezers are perfect for a wide range of food service applications, especially bustling cafeterias, restaurants, food packaging facilities, commercial bakeries and more. These units feature what are called “roll-in racks” — racks that can hold large quantities of prepared foods — so that your staff has easy access to ready-to-go racks in no time. Generally, they’re placed in your prep area so that your team can easily prepare food, load it onto the roll-in rack and wheel it into the freezer with no time wasted. 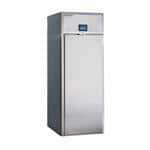 CKitchen.com is your one-stop shop for roll-in freezers by Delfield, Traulsen, Victory and more top brands. You can easily narrow down our selection by one, two or three compartments as well as dimensions so that you get the perfect size for your space. Many of these freezers are equipped with environmentally friendly refrigerants and high efficiency components to keep your business’ costs and environmental impact low. Not only are we experts when it comes to pairing businesses with the best commercial freezers, but we can also help you find the ideal accessories, including roll-in racks, that tailor your roll-in units to your individual demands. These racks can hold as much as a dozen full sheet pans so that you can store large quantities of food easily. 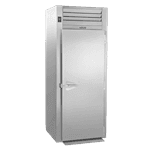 It doesn’t matter if you’re looking for a whole new unit or racks and carts for a roll-in freezer, CKitchen is on hand to assist. Looking for more great options? We’re also happy to help you find the right roll-in refrigerator at CKitchen. With a low-price guarantee, free shipping and simple financing, there’s no better partner for commercial kitchen equipment than CKitchen.com!